This project will consist of construction of a new offshore guide pile anchored floating loading platform. Access to the float will be provided by a structural steel access ramp which will span from a pile supported reinforced concrete pier, which will serve as a shoreline abutment. Underground utilities serving the float will enter through the pier abutment. The shoreline pier is located just bayward of the existing concrete seawall along the waterfront. 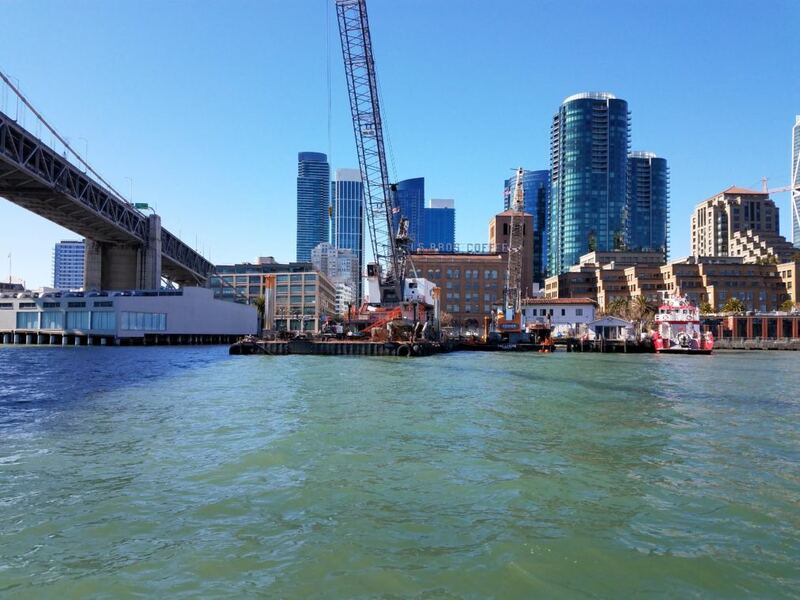 The seawall is supported on timber piles and is underlain by a rock dike which retains sand fill with was placed to reclaim the land from the shallow bay waters along the Embarcadero shoreline. The rock dike is underlain by relatively weak bay mud. Extensive past and current studies of the dike and seawall indicate that the dike will likely experience significant bayward displacement during strong earthquake shaking. 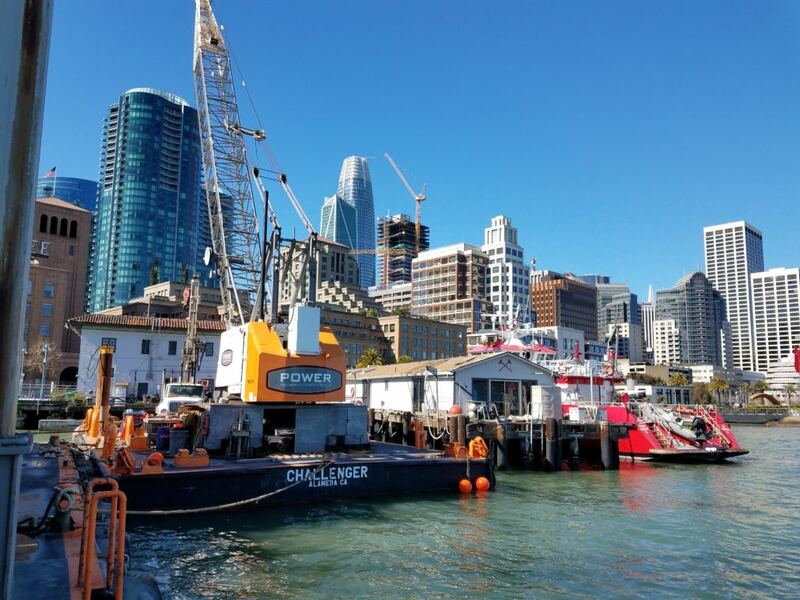 Since the fireboat station is a critical facility, access must be maintained during and following a major earthquake. According seawall/dike displacement is a significant issue in the project design. Group Delta is currently conducting onshore and offshore investigation, sophisticated cyclic laboratory testing and detailed geotechnical/earthquake engineering analyses. 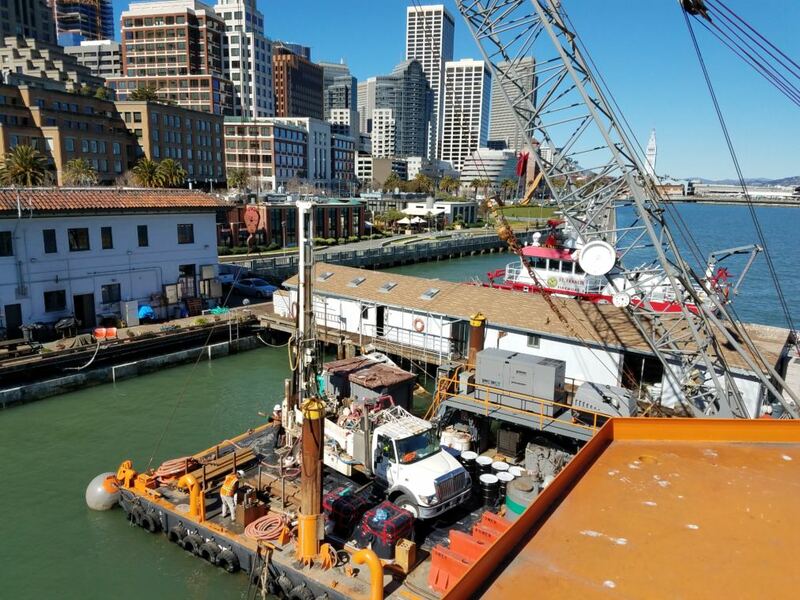 To design the support piles and assess residual ground displacements, Group Delta will conduct seismic site response, shoreline deformation (including pile pinning) as well as vertical/lateral pile analyses. Significant data gaps influencing the design include the strain and strain rate dependent strength of the bay mud underlying the rock dike and the thickness and liquefaction susceptibility of the fill behind the dike and seawall. The Group Delta investigation is directed a filling these data gaps by providing state-of-the-art geotechnical laboratory testing and analyses needed to increase the reliability of the earthquake design of the structure.